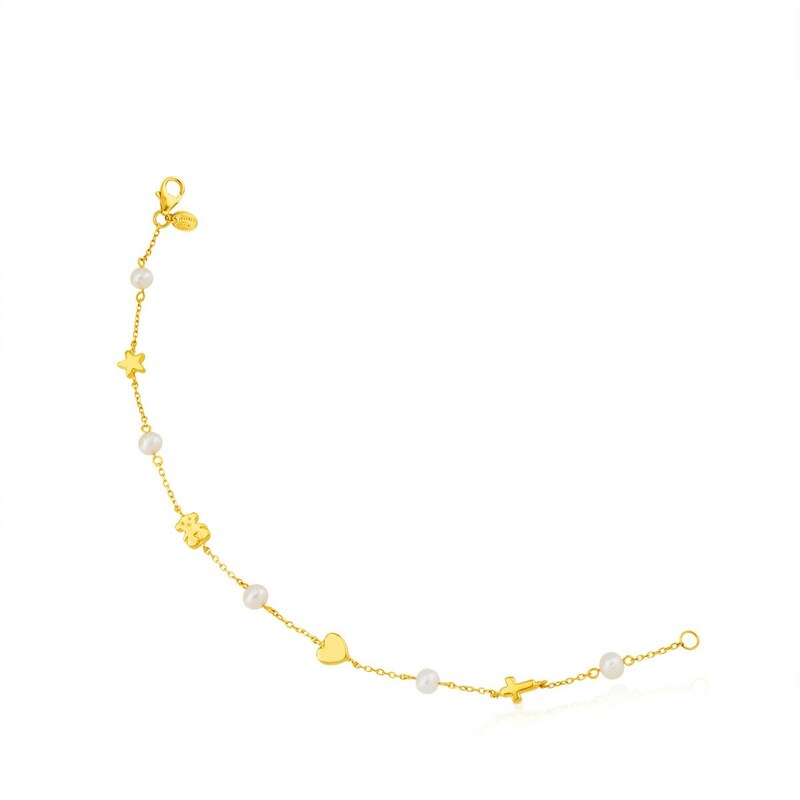 This bracelet is just what you've been looking for: a versatile piece that can add a joyful touch to all your looks. 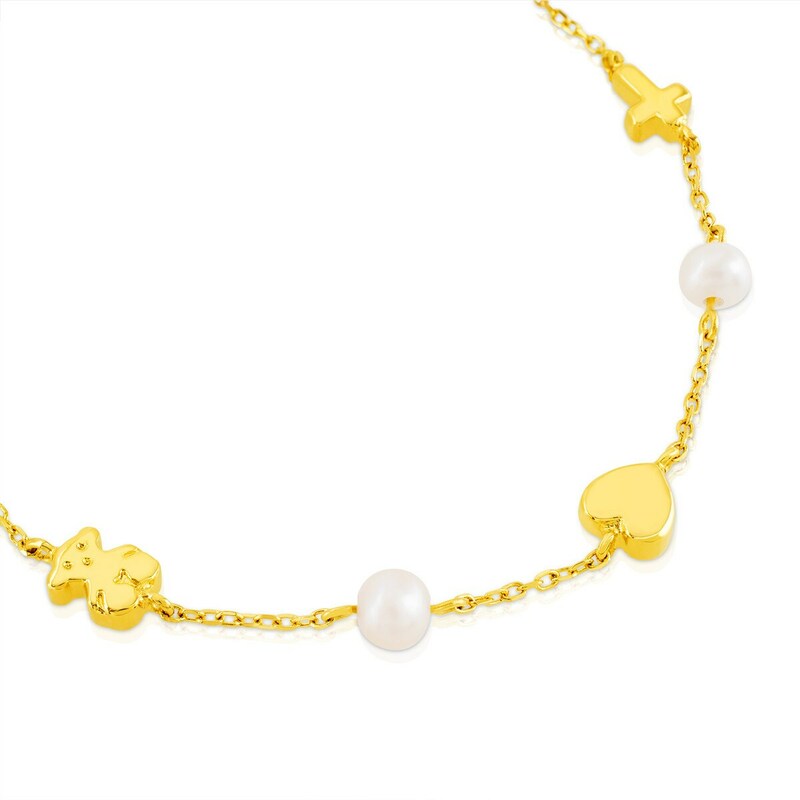 Pearls, rediscovered. 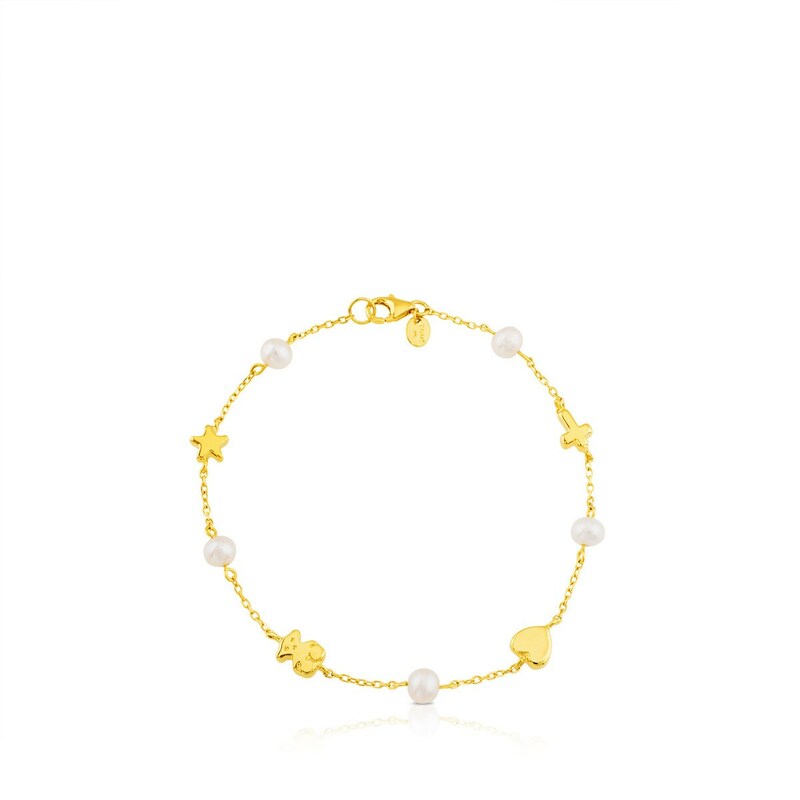 Sweet Dolls XXS bracelet in 18kt gold with motifs combined with 4mm pearls. Reason:6mm.